Graham Nash is an English singer-songwriter known for his work with The Hollies and Crosby, Stills and Nash. He was awarded with an OBE in 2010 for services to music and charity. 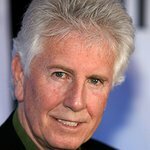 Graham Nash was born in Blackpool in 1942 and brought up in Salford. He was lead singer of The Hollies, one of the most successful British pop groups of the 1960s, which he co-founded with school friend Allan Clarke. 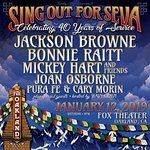 In 1968 he left the UK to live in California, where he became part of the supergroup Crosby, Stills & Nash (later Crosby, Stills, Nash & Young, after Neil Young joined). 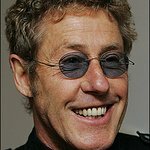 Unusually he has been inducted twice into the Rock and Roll Hall of Fame, for The Hollies and for Crosby, Stills, Nash & Young, and in 2010 he received an OBE. He is noted for his political and charity work (he played Occupy Wall Street in 2011), is a serious photographer and divides his time between homes in California and Hawaii. Google trends for "Graham Nash"
We don't have any videos related to Graham Nash.